You may have heard about the benefits of using ketoconazole cream for toenail fungus. It’s not a ‘new’ cream, but it does sometimes get overlooked due to other top-rated fungal infection treatments. Not only does it work on toenail fungus, but it can also treat a variety of skin conditions, including athlete’s foot. That’s related to toenail fungus, so it’s no surprise at all that the two go hand-in-hand. It is also good for treating everything from ringworm to dandruff. It is a powerful antifungal agent. It not only prevents toenail fungus from spreading but works to kill it. Often, you’ll see it referred to as Nizoral cream. 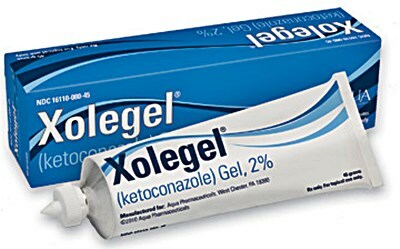 Ketoconazole is the active ingredient, not just the name of the cream itself. So, what’s so good about ketoconazole, for treating toenail fungus? 1 How Does Ketoconazole Cream for Toenail Fungus Work? 1.1 How Do You Apply It? 1.2 What Are the Side Effects? 2 Is It an Effective Toenail Fungus Treatment? How Does Ketoconazole Cream for Toenail Fungus Work? Again, ketoconazole has antifungal properties. Whether you reach for ketoconazole cream or Nizoral cream, make sure that ketoconazole is the active ingredient. How does it work? Fungi and yeasts tend to grow rapidly. Because of that, they get worse when left untreated. It can get rid of toenail fungus in two different ways. It starts at the source. When the cream is applied topically, it fights through the cell membranes. In fact, it’s so strong, that it causes holes to appear in the membranes. When the structure of the cell walls has been compromised, the fungus weakens. These holes also allow the fungus to leak out. 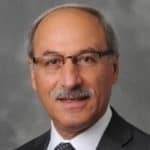 However, the leaking isn’t a growth mechanism. It’s a sign that the fungus is weakening. That compromises the overall strength and integrity of the fungal structure. Once the fungus has weakened and the structure is compromised, it should stop growing. It also gives the formula an opportunity to seep into those areas. That way, it can break down the cell walls even more, and essentially take over. So, by killing the fungus, it can immediately stop the growth. If you can prevent the fungal infection from spreading, that’s half the battle. Getting a toenail fungus under control can be hard to do with certain treatment options. With ketoconazole, you know it’s stopping the fungus where it starts. So, growth and spreading are far less likely. It also weakens it significantly, so it won’t take long for your symptoms to become far less intense. Common symptoms of toenail fungus include things like hard and brittle nails or a bad odor. When you notice these problems fade, you’ll know that it’s working. Make sure the affected area is well-cleaned. Wash the area thoroughly before applying the cream. Never share a towel with another member of the family as you risk passing on the infection. To use, apply the cream directly to the affected toe(s) twice a day. Some milder cases may take just a few weeks to clear up. More severe fungal infections could take several months to treat. It’s easier to get results when you start a treatment plan early on. Wash your hands after rubbing the cream onto the affected area. This will keep the fungus from spreading to other parts of your body. Keep using the cream until all of your symptoms are completely gone. Unfortunately, toenail fungus can return if not treated in full. Consider applying an antifungal powder and wearing moisture-wicking socks to help the treatment work and keep fungus away. If you experience any of these side effects, contact your doctor. More often than not, the side effects are associated with some allergic reaction. If you’re allergic to ketoconazole, there’s a good chance you may be allergic to other antifungals. 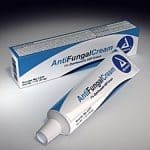 If you’ve had any issues with antifungal treatments in the past, consult a doctor before you use this cream. Occasionally, ketoconazole may react with other drugs or conditions, such as pregnancy. Again, if you’re worried about these possible interactions, contact your doctor before you start using the cream. An alternative option is Econazole Nitrate Cream. Is It an Effective Toenail Fungus Treatment? 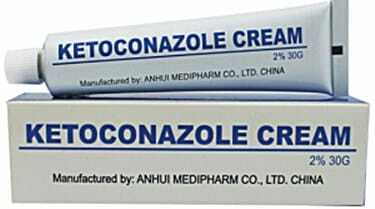 Ketoconazole works well because it is an antifungal agent. That means that it’s designed specifically to deal with different kinds of fungal infections on the body. As stated above, there are plenty of different ways in which it can be used. Its benefits far outweigh any possible risks. It’s easy to use and apply and can be applied multiple times a day. The side effects people experience are rare. Even then, most side effects are never severe. Utilizing something that can break down the very structure of a fungus can be reassuring. You know the problem isn’t just being ‘masked,’ but taken care of at the core. There may be no way to prevent getting toenail fungus completely. However, thanks to solutions like ketoconazole cream for toenail fungus, none of us have to live with it for long. Talk to your doctor about how it might work for you. If you currently have a toenail fungus and have been struggling to treat it, try this topical agent as your next option.